Over 78 lakh voters, including nearly 38 lakh women, would decide the fate of dozens of candidates from the six Lok Sabha seats in Jammu and Kashmir, which are going to polls in the five-phased election beginning Thursday. They include over 4.25 lakh new voters and 159 transgenders, State Chief Electoral Officer Shailendra Kumar told PTI. He added that 47,216 are PWD (people with disabilities) voters and 1,433 VIP voters. Kumar said a total of 11,316 polling stations – 5,450 in Jammu region, 5,307 in the Kashmir Valley and 559 in Ladakh – would be set up to enable 78,42979 electorates, including 37,75,227 women, and 159 transgenders to exercise their franchise. Ladakh region, comprising of Leh and Kargil districts, which is going to polls in the last phase on May 6, has the lowest number of 1,71,819 electorate, including 85,064, women, and three transgenders, Kumar said. He said the Jammu parliamentary seat, which along with Baramulla constituency in north Kashmir, is going to polls in the first phase on April 11, has the highest number of 20,05,730 lakh voters, including 9,64,834 women, and 20 transgenders. This time, however, a tough contest is on the cards from the constituency with the National Conference extending support to the Congress candidate and former minister, Raman Bhalla. The PDP has decided not to field candidates from Jammu and Udhampur constituencies to ensure that the secular votes are not divided. Srinagar parliamentary constituency, covering the central Kashmir districts of Srinagar, Ganderbal and Budgam, have the lowest number of 12,94,560 voters in the Valley, including 6,27,282 women, and 26 belonging to the third gender, the officer said. Abdullah, who is being supported by the Congress, is facing challenges from 11 other candidates from the seat. 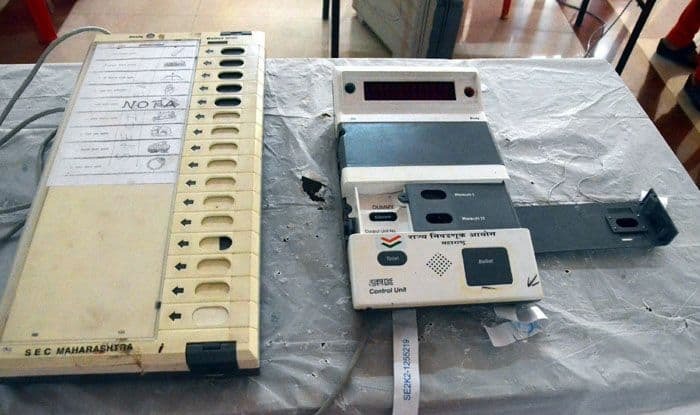 Kumar said the voter-verifiable paper audit trail (VVPAT) would be used for all the polling stations and the commission have so far covered 50 lakh voters across 6,500 villages about the functioning of the machine.